Bob drafts, prosecutes, enforces and licenses patents primarily in the chemical and mechanical arts. Bob also focuses on intellectual property related due diligence, portfolio management and analyses, strategic counseling, valuations, opinions and litigation support. 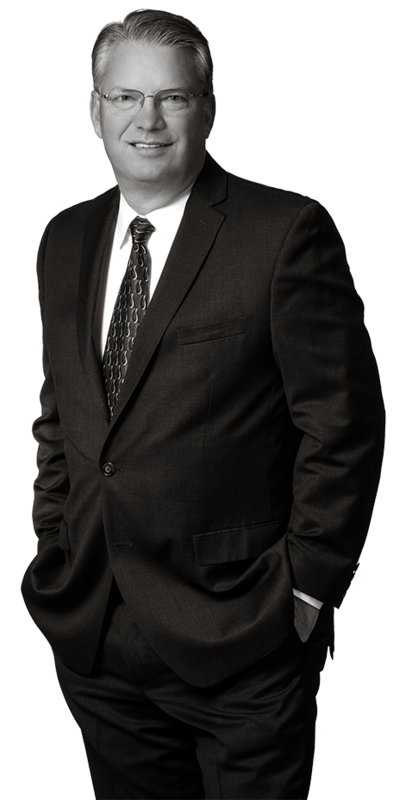 In his third decade of practice, Bob has obtained literally thousands of patents for his clients. Bob has drafted and prosecuted chemical patents relating to adhesives, lithium ion batteries, coatings, conductive materials, films, foams, glass, nanotechnology, pharmaceuticals and small molecules. On the mechanical side, Bob has obtained patents for dental and medical devices, personal care products, athletic equipment, fastening systems, games and toys, tools, microvalves and solar technology, as well as oil and natural gas exploration and extraction technologies. Shield Technologies, Inc. v. Transhield Inc. Powerhouse Marks, L.L.C. v. Costco Wholesale Corp., et al. Bob’s clients appreciate that he gets to the point. He is concise, direct and does not waste their time. They also value his dedication not only to providing outstanding legal counsel, but also for respecting their budgets. Whenever possible, Bob’s objective is to help his clients avoid disputes by identifying and resolving problems and obstacles early on. However, when disputes do arise, he has also been able to build bridges to settlement, on multiple occasions, in scenarios where the conflict was so acrimonious that even his client believed intense litigation was the only recourse. As a result of Bob’s innately creative problem-solving skills, he has taken seemingly impossible situations and helped make resolution possible. Prior to practicing law, Bob served as an analytical chemist in the oil and natural gas industry, where he conducted analysis on soil and water for environmental contamination, directed tests on fuel recovery, and designed a fuel recovery system.